Everest View Trek is suitable if you looking a short and easy Everest Region. then Everest View Trek trek will be one of the best option to see the Mount Everest closely. The trek is also know as Everest Panorama View Trekking, short & easy Everest Trekking suitable for couple & family with kids. 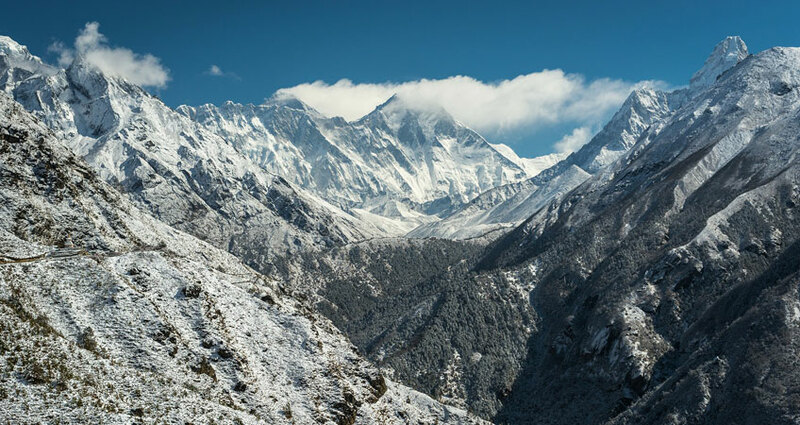 Everest Panorama View Trekking is one of the short trekking in Everest Region which offers superb view of Everest and a close look at Sherpa culture. This trek is suitable for those people who is not willing to walk all the way to Everest base camp or those have no longer holiday. This trek offers classic, close views of Everest and other Khumbu mountains as well as cultural insight on the lives of the legendary Sherpas of the Everest region. Everest or Khumbu region is justifiably the most famous of all trekking and mountain regions. The attractions of this area are the majestic mountains, the high mountain villages, the isolated monasteries, and the local peoples. This area includes the highest mountain in the world. This Trek is not only for its proximity to the world’s highest mountain 8,848m but also for its friendly Sherpa people, picturesque villages, great variety of cultures and traditions, colorful festivals and monasteries. Everest view trekking, Tengboche Namche trekking provides a good insight into Sherpa culture without the struggle of high altitude trekking The story of the yeti is still a mystery in the world from the Khumbu region. Day 01 – Arrive at Kathmandu airport (1345meters) & transfer to the hotel. Overnight at hotel. Day 02 – Fly from Kathmandu to Lukla (2800m) – 30 minutes. Trek from Lukla to Phakding (2640 m.) – 3 hours. Overnight at lodge/teahouse. Day 03 – Trek from Phakding to Namche Bazaar (3440 m.) – 4.30 hours. Overnight at lodge/teahouse. Day 04 – Rest Rest at Namche Bazaar for acclimatization and excursion around the places. Overnight at lodge/teahouse. Day 05 – Trek from Namche Bazaar to Tyangboche (3867m.) – six hours. Overnight at lodge/teahouse. Day 06 – Trek from Tyangboche to Monjo (2835m.) – 5 hours. Overnight at lodge/teahouse. Day 07 – Trek from Monjo to Lukla (2800m.) – 5 hours. Overnight at lodge/teahouse. Day 08 – Fly from Lukla to Kathmandu – 30 minutes & transfer to hotel – 20 minutes. Overnight at hotel. Day 09 – Kathmandu Valley Sightseeing Tour: Kathmandu Valley Sightseeing Tour including Kathmandu Durbar Square, Patan Durbar Square, Monkey Temple, Pashupatinath Temple and Baudhanath Stupa. Overnight at hotel. Day 10 – Transfer to the airport – 20 minutes for your final departure from Nepal. Flight – round trip air fare US$ 376 per person for Kathmandu to Lukla (day 2) & Lukla to Kathmandu (day 8) which does not include in the above price. The trek starts after a delicious breakfast with a cup of tea. Our guide briefs about trail then after we start to walk of 3 to 4 hours. We offer lunch in a local teahouse or shop. After lunch you will relax for a while and continue to walk for for 3 to 4 hours until we reach next destination. When we reach next destination we can enjoy short hiking around the village or enjoy games. Evening have a dinner and overnight at the teahouse/lodge. The Everest View Trek is a Moderate trek which offers at least 4-5 hours easy work in a day. We can do Everest View Trek if you have average physical fitness with good health condition. Please note that walking in higher altitude demands more physical fitness than walking in lower altitudes. Several weeks of exercise and jogging before the starting the Everest View Trek is highly suggestible. If you have done hiking and have good past experience it also helps to do this Everest View Trek but technical skill does not require for this trip. Headaches, fever, vomiting, dizziness, loss of appetite or stomach disorders are symptoms of high altitude Sickness, the main cause of high altitude sickness is lack of enough oxygen in air. We find less oxygen in the higher altitude then less altitude so the Everest View Trek itinerary have been customized by Smile Adventure and Tours considering the sufficient time to acclimatize in each places. Everest View Trek is a Moderate trek & This trek needs a good physical fitness. It offers a magnificent view of mountains range with a vertical climbing. This trip ascends up to 3867 meters. Airport pick up & transfer to hotel (day 01 & day 08) + Airport drop (day 2 & day 10) by private vehicle. Full day sightseeing in Kathmandu with a professional tour guide (day 9). Entrance fee during the sightseeing in Kathmandu (day 9).